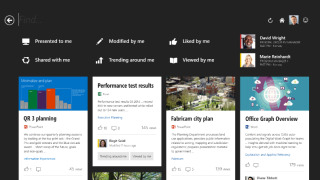 Microsoft has introduced a new social experience to Office 365 with the addition of Office Graph. The feature combines information about, and maps relationships between, people, groups, files and conversations through machine learning. The end result is a customised selection of data that gives a better understanding of the various previously disparate parts. Microsoft said that one of the first experiences to make use of Office Graph, codenamed Oslo, is a single user interface personalised with insights based on meetings, people, conversations, documents and more. The system combines social, cloud, big data, and machine learning, providing contextual experiences for users of Office 365. It presents potentially relevant information or choices to users based on what they are doing in Exchange, Outlook, SharePoint, Office, Lync or Yammer. The move comes as social media continues to dominate the world, with a tweet making or breaking a brand. Many companies are failing to change with the times, however, according to Jeff Teper, Corporate VP of Office Service and Servers at Microsoft, who said organisations continue to operate in hierarchies with broken communication. "To be more responsive, we need to evolve. We need to flatten the information flow so that we can work better together and serve customers better, using a network of highly informed and highly connected people," he wrote in a blog post. Microsoft is also expanding the social side of its Office suite with Groups, an expansion of a similar concept for Yammer. This feature will unify users, email, conversations, calendars and files across Office 365 for easy social experiences and collaboration.